Quickly deploy, tear-down and make storage simple by utilizing the US Weight stanchion cart. Designed with you in mind, this cart is easily manageable by a single person and allows for super quick deployment and pack away. Combined with the patented quick release post, means NO tools required. Holds up to 12 stanchions. 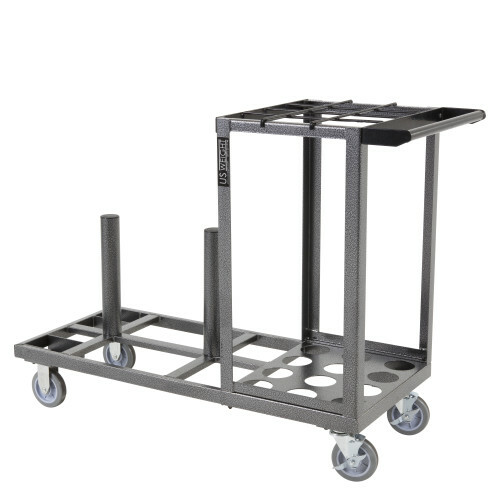 Compact design takes up less storage space vs. traditional stanchion carts.